Really not much to say here since I really haven't played a minute of any of the Halo games. So I'm kind of really posting this here just in case any of you out there are interested to see how the Mantis looks like in the game. 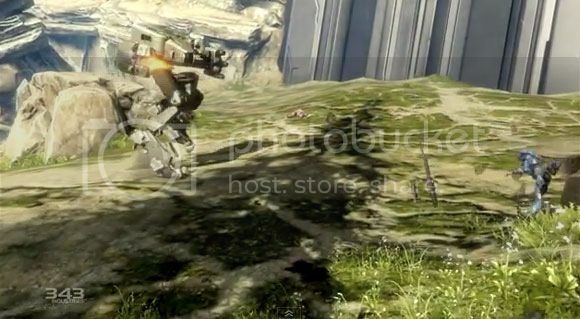 Apparently in Halo 4 you can ride gigantic Mechs to destroy your enemies. The video didn't actually give us too many details and there aren't any commentary to guide us through what's new in the game. It's just all the awesome destruction and fire power of the Mantis.